just installed avp2 plus update and new patch but can't seem to get the online working. when I press multiplayer it says its checking for a new version then comes up saying that 'Failed version check' there maybe a problem with our verification servers. and claims there and error and to check I'm connected to the internet. Anyone here had it working yet? right scratch that just seen it doesnt work with PH so not doing that. Anyone any idea? I instsalled avp2, then 1.0.9.6 update then the master patch but no luck. 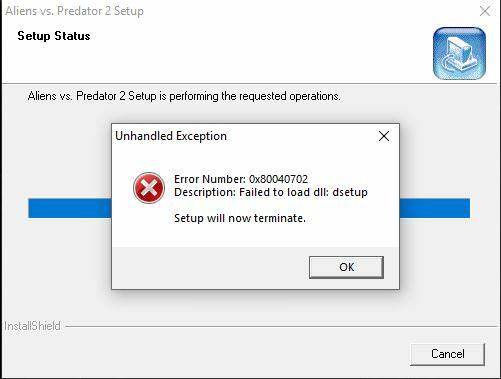 Make sure AVP2 is fully installed. AVP2 PRIMAL HUNT ISN'T ONLINE (there are reports that it is) but TRUE PH isn't online. True msp support on mac isn't possible. We'll get a port soon. AVP2 will never die. No other alien-predator material came to its level since its release. Good to see the great work you guys keep doing. thx dude! TBBC is doing a great job on the development. Thanks for the update! Having some trouble with Primal Hunt though. Doesn't seem to want to launch. No problem! just make sure you are updated ONLY on 2.4 any version lower is no longer supported by TBBC. as it's a required update. Any chance of getting that cover art in high quality somewhere? I got it to work, turns out the firewall on the works computers wouldnt allow me to play it at work lol. Single player works ok on my work pc so going to play through it when I can at work, got home and installed the patch and it works online fine. Been having more troubles unfortunately. If I can get it to install, it's a gamble if it'll launch or not. And if I need to uninstall it to try again, registry files get stuck on the system preventing another reinstall. Luckily I think I was able to clear all traces of it from my system with a system restore, I want to try another install but the ordeal got me nervous. Just so frustrating, especially with the care that's gone into keeping this thing alive. Just seems to keep clashing with Windows 10. I really wish we'd just get a re-release that's optimized for modern systems already.